We often discuss why we started Inspired Results: we’re rooted in a vision of disrupting our industry through the partnerships we build, the service we provide, and relying on those principles to drive how we run our company. In 2018, we set a resolution to make sure our clients know how our guiding principles makes us different. WBENC recognized us as a woman-owned business, and NGLCC certified us as an LGBTBE-owned organization. 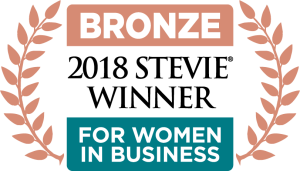 We also achieved an unexpected outcome from these certifications, as our belief in empowering women in the workplace earned us a Bronze level recognition from the Stevie Awards this year. We are truly grateful to all of our partners in this journey – employees, clients, and suppliers. May this coming year be filled with inspiration and innovation for all of you. Thank you for a great 2018! Wishing you a happy new year from all your friends at Inspired Results. To the New Year and new resolutions!